The film is obviously low-budget but has a smart script and a real feeling for those who would like to turn back the clock. Its modesty on the whole becomes it, and Plaza is a real find. his time-travel romcom wastes lead Aubrey Plaza and dithers until its geek-pandering finale. Few films so gloriously live up to their potential. Plaza and Duplass are enormously watchable, and there's a sweet sadness in the movie's focus on lost dreams and missed chances, and the truism that we all long for a time machine every once in a while. The film balances the extraordinary and ordinary with great aplomb, and Duplass and Plaza give beautifully judged performances. Safety Not Guaranteed is droll and hilarious, but there isn't a cheap laugh in it, and the ending is so perfect it sends you soaring. "Safety" can't sustain its own offbeat energy. 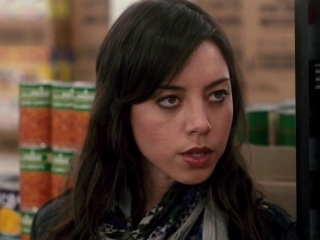 By the end, even Aubrey Plaza would roll her eyes at it. "Safety Not Guaranteed" is eccentric enough to get mistaken for an uplifting fantasy, but it's Plaza who belongs in the penthouse. Neatly, the script embarks on one journey while dangling the possibility of another: the prospect of taking a sudden leap from comic reality into the realm of pure imagination. "Safety Not Guaranteed" is most vibrant and vital at its edges, in the way that the characters interact with each other while waiting for something to happen. It's brisk and assured and never begs the audience's indulgence. No time is wasted. The movie is, at every moment, either funny or pushing the story forward, or both. The film is modest but skillful and heartfelt, spiced just so by Plaza and company. Safety Not Guaranteed casts an enchanting spell from its opening scene. Expectedly funny but unexpectedly touching, too. A pleasantly ramshackle affair balanced uniquely between the crass and the sweet. The film almost spirals out of control when some overtly conceptual elements are introduced to the plot, but there's enough conviction in the performances to keep them tolerable. A charming movie that blends comedy, romance and science fiction -- not necessarily the most obvious combination of genres, but one that director Colin Trevorrow and writer Derek Connolly manage with assured ease. Safety Not Guaranteed rewards those willing to ditch cynicism for a playful world where anything is possible. "Safety Not Guaranteed" not only has dialogue that's about something, but characters who have some depth and dimension. "Charming" and "sweet" are two words that can be applied to this movie, which is considerably gentler than the R-rating might imply. A slight, wistful comedy that, at least up to the ambitious but unsatisfying final scenes, combines sci-fi and rom-com to pleasing effect. Connolly ... goes beyond indie clichés to understand these characters, find their humanity and make us feel for them. Because nothing plays out as anticipated, this off-balance project comes fully alive on screen in a way a written summary can't capture. "Safety Not Guaranteed" won the Waldo Salt screenwriting award at the Sundance Film Festival, and it is a small-scale winner. Part road movie, part romance, part coming-of-age comedy and part something entirely its own, "Safety Not Guaranteed" is an unexpected pleasure. Sometimes a movie comes out of nowhere and wins you over. Safety Not Guaranteed is that kind of unexpected gift. Touching, generous, sweet, this little slip of a movie puts you under some kind of spell. Delightful proof that money and fame have nothing on ingenuity and wit, "Safety Not Guaranteed" is worth a million meaningless blockbusters. Even if it cost millions less than any one of them. Movies with a voice as strong, strange, smart and yes, sincere as "Safety Not Guaranteed" deserve to be heard. Substituting charm, and sometimes quirk, for special effects, the no-budget time-travel caper Safety Not Guaranteed squeaks by on goodwill and guarded expectations. Safety Not Guaranteed is a fable of ''redemption,'' and it's too tidy by half, but it is also very sweetly told. You have to admire the fact that, rather than turning to the safety of snark, this little movie sticks to its big idea: All you gotta do is believe. Alas, a sophisticated trajectory is cut short for an outcome that's cringingly earnest. As indie-film nerd-mances go, this one is genuinely sweet. Cocooned in so-hip-it-hurts smugness, these faux-fairy tales perpetuate the sophomoric notion that deadpan quirk and snark are just cover for all that's really warm and cuddly and true. A big win for everyone involved, Safety Not Guaranteed is especially exciting for fans of Aubrey Plaza, who proves she's good for more than snarky scene-stealing and can actually carry a film. A small movie with a big heart, Safety Not Guaranteed is a sci-fi-tinged oddball comedy about love as the ultimate risky adventure.